Three stone engagement rings provide three times the sparkle and shine of a traditional solitaire. Find Charlotte, North Carolina’s premier selection of diamond three-stone engagement rings at Ballantyne Jewelers. At our showroom we have something for everyone. 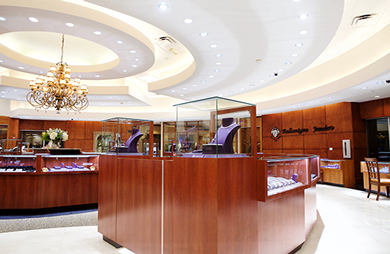 With the help of our friendly and knowledgeable staff, you can select your bride-to-be’s dream ring. We carry the best luxury designers—including Verragio and Gabriel & Co.—whose fine craftsmanship, design, and quality standards meet our high expectations. You deserve the very best as you take the next steps in your relationship.